This post is dedicated to all of you who plan to be EXTRA prepared for your trip and these are my top 7 tips and tricks that helped Kevin and I during our recent trips. If I could only give ONE piece of advice I could give WDW visitors, it would be this - USE AMAZON PRIME NOW. Before my flight out to Orlando, I placed an order for groceries and toiletry items on Amazon Prime Now and selected a delivery time that was 2 hours AFTER my flight arrival time just in case we had some delays or weren't totally settled in yet. We landed, got our bags and went to the hotel. By the time we arrived, our groceries were at the Bell Desk ready for us! It was like MAGIC! AND our perishable items (milk, yogurt, etc) were in an insulated bag with cold packs. HOW INCREDIBLE OF A SERVICE IS THAT? It was quick, easy, and didn't take away from our precious vacation time. Amazon Prime Now will deliver groceries, toiletries, over the counter medicine, GoPro accessories, clothes, and more straight to your hotel bell service. Delivery is free for orders over $35. * Note: Amazon Prime delivers to the front desk. Usually there's a $5 fee per box received. Amazon Prime Now delivers to the bell man FREE OF CHARGE. Learn more here. Hand Sanitizer is ESSENTIAL at WDW. Sanitize after touching e-very-thing. Your immune system will thank me later. ;) Learn from my mistake: I thought washing my hands after using the bathroom was enough. It wasn't. Please don't be like me and make a pit stop at the emergency room during your magical vacation. Caught bronchitis during our December visit to WDW. Weather in Orlando is unpredictable. It could be POURING in Epcot and completely sunny at Hollywood Studios. It's hard to tell when/if the rain will hit and you'll want to be that person that's prepared. 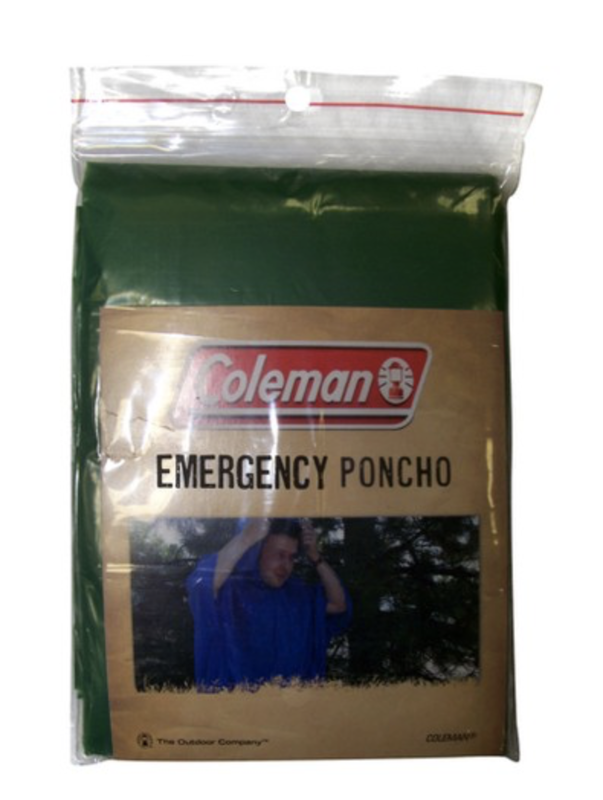 Target and Walmart sell emergency ponchos that are super cheap and easy to carry in your day bag. You can find these in the camping section of your nearest Target or Walmart. Eat meals before or after the rush to save time/anguish. Waiting in long lines for while you're hangry is not a good situation and it can also tough finding a place to sit during these peak dining times. Best times to eat lunch are at 11am or 2pm. Dinner at 4pm or 7pm. Free is always good and if you're a Disney Chase Visa Card Member, you've got some really nice perks. Disney and Star Wars Character Meets with free photo download, discounts off food, merchandise and special experiences to name a few! Favorite perk: Have a drink and take a break at the Disney Chase Lounge during Epcot's Food and Wine Festival. Click here for more information. Oh the anxiety of picking which line to go through for security and the turnstiles. Basic rule of thumb, listen to Beyonce: head to the left to the left for shorter lines. Most people veer right. When park hopping, plan about a 45mins-1 hour travel time with the buses and going through security. Knowing this will help ease the stress if you're trying to make it for your fast pass or show. I hope this list helps you! Let me know if you have any questions or suggestions for our upcoming posts. Would love to hear your insights on how we can improve.